Russia will respond accordingly if neighboring Finland joins NATO, Russian President Vladimir Putin has said. 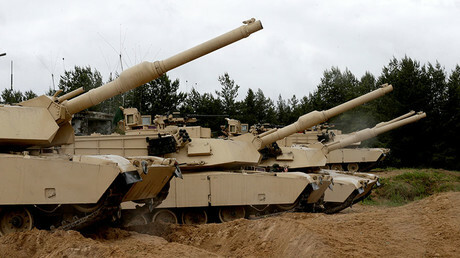 However, he added that Moscow will try to begin a dialogue with NATO despite its expansion towards Russia’s borders. “The Finnish president came up with the proposals today on the first steps aimed at enhancing confidence and preventing conflicts [in the Baltic airspace]. I have already said that I agree with this. We will try to begin the dialogue with NATO at the summit in Brussels,” Putin said on Friday. Putin and Finnish President Sauli Niinisto agreed to develop a set of security measures to control flights over the Baltic Sea. Finland’s president said military flights should avoid turning off their identification devices in the region, which is frequented by both Russian and NATO planes. Putin, in turn, noted that NATO planes conduct flights over the Baltics with their transponders off twice as often as Russian planes. “The number of NATO planes [with transponders off] is twice as high as that of Russian planes,” Putin said citing statistics. “We welcome the Finnish President’s proposal [to ban flights over the Baltics with transponders off]. Upon my arrival back in Moscow I will order the Foreign and Defense Ministries to raise this matter at the upcoming Russia-NATO Council meeting, which is to take place after the Russia-NATO summit in Warsaw,” he added. Putin said Russia will respect Finland’s choice if it decides to join NATO, but will have to respond accordingly. "Do you think we will continue to act in the same manner [if Finland joins NATO]? We have withdrawn our troops 1,500 [km from the border]. Do you think they will stay there?" he told reporters. 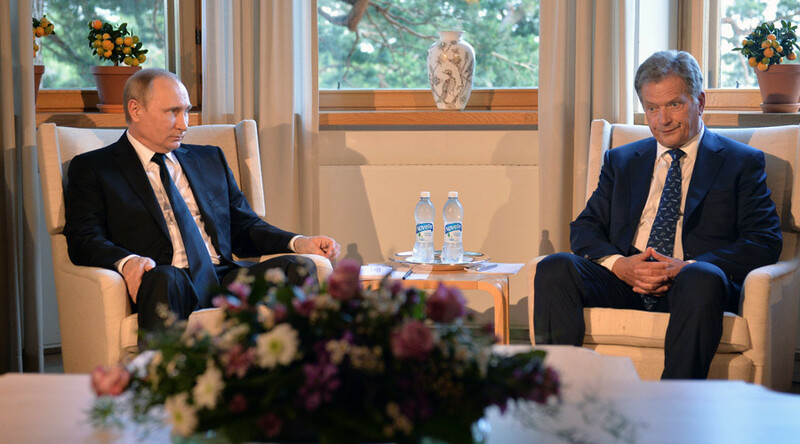 The remarks were made at a joint press-conference of the two heads of state following their talks at the Kultaranta summer residence of the Finnish president. 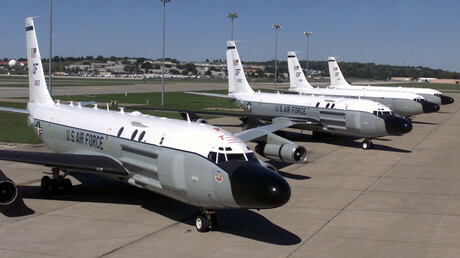 Russia intercepted several US aircraft over the Baltic Sea in close proximity to the country’s border in recent months, claiming the planes in question had their identification devices turned off.